"Tim Winton's novel brought to cinemas by The Mentalist's Simon Baker"
For those unfamiliar with the work of novelist Tim Winton, they should do all they can to get ahold of one of his books. His writing manages to capture a side of the Australian soul that is unrivaled in modern literature. His novel Breath is an example of his uncanny ability to convey the beauty of this land, especially of the western coast and the unique aspects of the tough, but endearing elements of the Australian culture. On the other side of the Pacific, Simon Baker had the opportunity to read Winton’s creation and it took him home. Most people are unaware that the well-known actor is Australian himself and after reading the novel strived to acquire the rights to the book for a film. He desired to take on the central character of the surfing guru and mentor, Sando, but eventually realized that he should fulfill multiple roles of director, writer as well as the lead actor in the cinematic production. The salty story of the surfing community of Western Australia during the early 1970’s focusses on two young mates who discover the thrill and euphoria of riding the coastal waves. Pikelet (Samson Coulter) and Loonie (Ben Spence) have been friends for years and take on each new adventure with the passion and enthusiasm of teen boys with wild abandon. After securing their first boards and while riding back to town they come in contact with Sando (Baker) who lives in a secluded surf shack near the beach with his wife, Eva (Elizabeth Debicki). The young pair discovers that this reclusive surfer is a worldwide phenomenon on the waves and he takes a liking to the risk-taking boys. The seasoned mentor begins to show them the physical and spiritual aspects of riding on the swells of the ocean and along the way they learn how his wisdom applies to their lives. 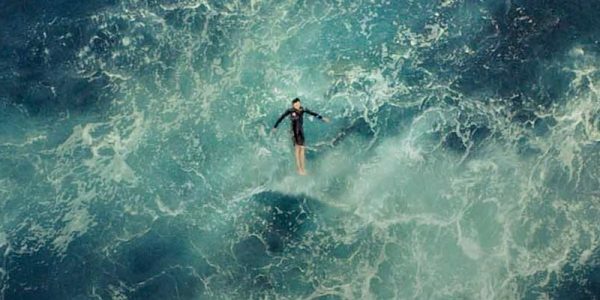 The on-screen experience could be labeled a coming-of-age film or a beautiful surfing film, but the real heart of the story portrays the importance of relationships and being comfortable with the limitations of life. Baker manages to show his true cultural heritage by making Winton’s story his own and providing an immersive experience that shows his love of Australia, the era he grew up in and the uniqueness of the surfing community. As his directing debut, he stated that it was vital for him to tell a story that was close to his heart. Every choice made seems to be done with care and consideration from the lighting to the type of boards they used in the surf. Baker chose to use the actual actors for surfing the waves and not utilize any green-screen technology for the action sequences. This subtle detail even came down to his casting choices, especially the first-time actors who portrayed Pikelet and Loonie. Coulter and Spence are accomplished surfers who prove to have the acting chops to make the whole narrative come together. 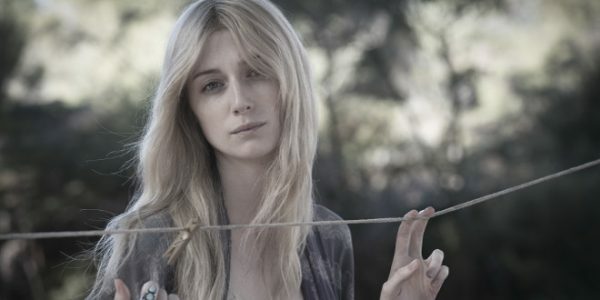 These two young talents deliver many of the most influential scenes in the film and benefit from fantastic support from Baker and Debicki who manage to encapsulate their characters well. Fans of The Mentalist may find some of the content rather confronting. One aspect of Tim Winton’s writing that causes Australian audiences to embrace his work is his raw depiction of the worlds he creates. His storylines contain the real language of the culture that he wants to portray and Breath includes some confronting scenes of the sexual exploits of some of the central characters. This course use of language and physical side of humanity will make this less accessible to some audience members, but these elements do show the multi-layered world the famed author is trying to depict. Simon Baker has managed to find the right tale for his directorial debut, his role in front and behind the camera proves to be an exceptionally personal journey. He delivers a film that opens the world to an aspect of Australian culture, the human experience of relationships and the importance of every aspect of life in our personal growth. Beyond some of the mature content, this is a visually beautiful film that manages to touch the heart of humanity.